The backup of water and build-up of garbage may become too heavy for the gutter pipes, damaging the structural integrity through cracks or complete collapse. 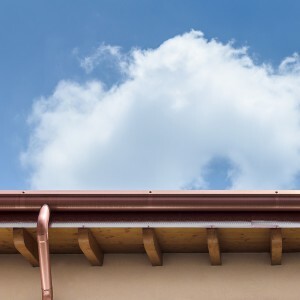 It could create gaps in connections, allowing water to leak into the interior of the home rather than flowing off the roof and away from the house. Over the course of time, as water flows down the roof, it carries with it fallen debris. The debris collects in layers and fills the pipes. As it piles up, birds and rodents can make their nests in the small comfortable environment. However nice their new home might be, the lack of drainage will seriously damage your home. This is why many homeowners have a gutter cleaning each spring. If water drains unevenly due to blockages, the backflow overloads other downspouts or spills over the side of the roof. When this occurs, the ground or landscape below is not designed to support heavy draining and is unprepared for the flow of water. This creates soil erosion around trees and plants, but also around the basement or foundation. There is increased potential for flooding when this occurs. If it occurs around a tree, it can weaken the root system’s ability to hold firm in heavy winds and storms. If is has been awhile since you checked the condition of your gutters, it is time you contact the team at Holloway Gutter. With their expertise, you can improve the longevity of your gutter system and protect the integrity of your roof, home and foundation.